Opened in 2008, Flipper's is located directly on Arnica Bay at Bear Point Marina with the most spectacular sunsets on the island for you to enjoy while sipping on your cocktail and enjoying fresh seafood or hand cut steaks. Flipper's sits in a nostalgic, wood frame building evoking memories of marinas and seafaring days gone by. Best views on the Gulf Coast! We have 2 ways for you to enjoy our place; dine inside with fabulous views or sit on the deck with plenty of outdoor seating. 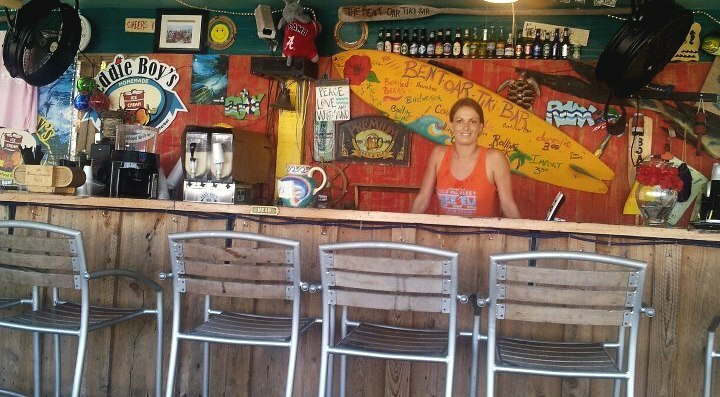 After your meal check out our famous and very inviting Tiki Bar (Bent Oar). It's an open-air bar with live music every night in the summertime. return here year after year.